It was very interesting to decorate the cupcakes. I did them with a lot of enthusiasm. It took me around 30 mts to complete my Icing art for all my cupcakes, which includes the ghost cupcakes and monster cupcakes. Halloween has increased my thirst for baking. Bake till it aches! Does it make sense? I don't know. I just wanted to make it rhyme. 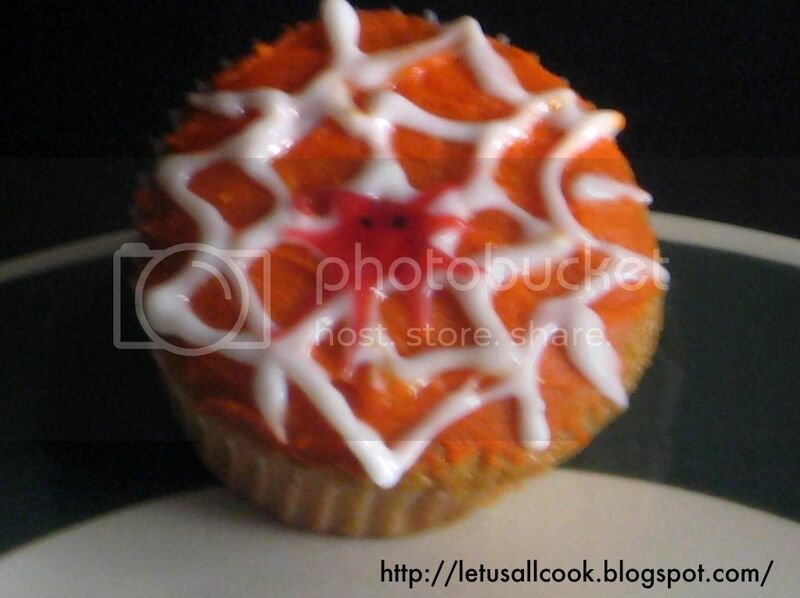 Anyways, these spider web cupcakes can be served as Halloween Dessert! Classic Cupcake recipe as a base to prepare the cupcakes. Orange Icing for the background. White Icing for the web. Black Icing for the eyes of the Spider. Red Icing for making the Spider. Refrigerate it for 30 min before serving as Halloween Dessert. Now coming to the Crochet Spider - Halloween Crafts for Kids. This is a very simple one and I followed exactly the pattern from here. 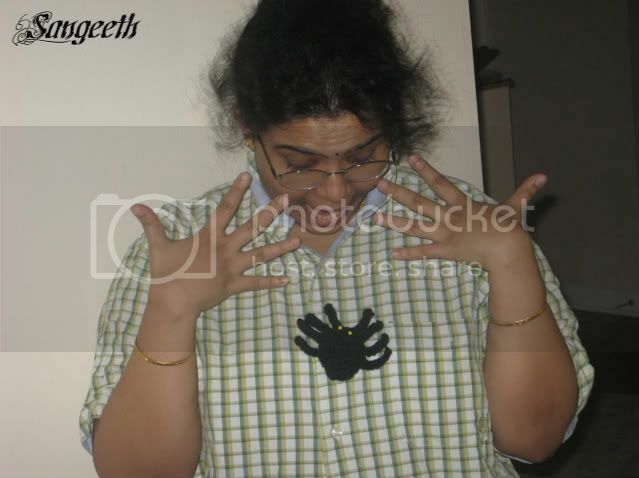 Here is how the spider looks. The specialty is, the spider has a button hole and so you can button it up on your kids shirt and make it feel like a real spider crawling. And my husband won't model it for me so I became the model myself. What do you think? Can I survive as a model? Pathetic huh? I know! 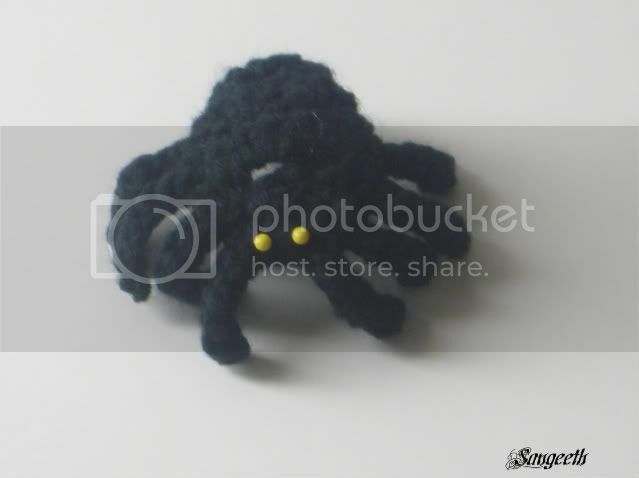 P.S: I am modeling the crochet spider and not his shirt. He wanted me to write this. Don't know why. hmm..glad to see u as a model..btw, those are real ghost cupcakes! !